If you are recently engaged this means that your wedding planning will soon be underway so you’ll be looking for the perfect place to say: I Do! You certainly cannot miss reading this article of our Top 10 Destination Wedding Spots in the World. As destination wedding videographers and passionate globetrotter we are always looking for wonderful places to create breathtaking Love Stories, so, if you too are a passionate traveler and you are planning to elope in a dreaming place, take a look and travel with us. Since we love unique and rad wedding locations we think the venue you choose is really very important to allow us to create a masterpiece wedding film. Take in mind: no location is too wild, no location is too far. We want you to be covered with our list of Top 10 Destination Weddings Spots. This is what I have in mind when I say: MAGIC. It’s like shooting the night stars surrounded by a phosphorescent glow. After seeing this image the first time, I can not drive away the thought of an exchange of vows on a boat placed at the center of this surreal scenario. 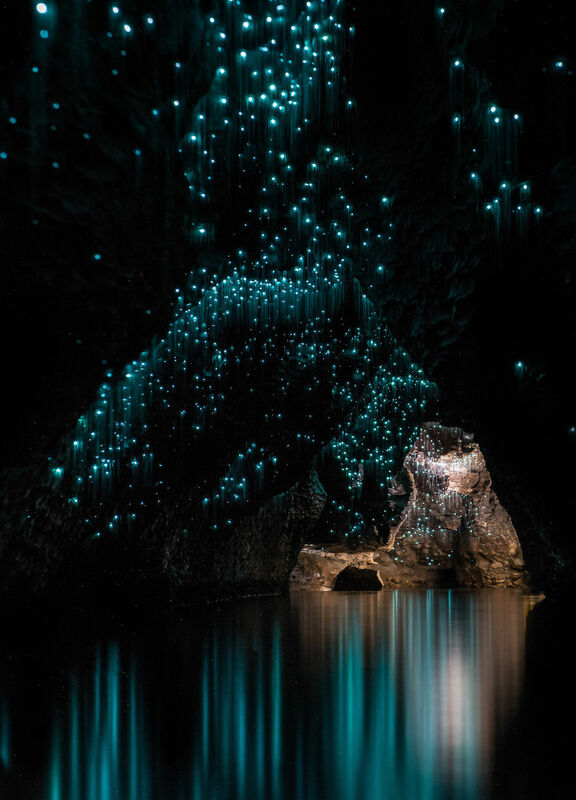 This is not an easy shoot, but let me dream that would be possible to elope in this incredible wonder of nature in New Zeland. Trust me when i say this is one of the most wild and deep experience for two lovers. Can you imagine a dinner for two in the desert? because I DO! 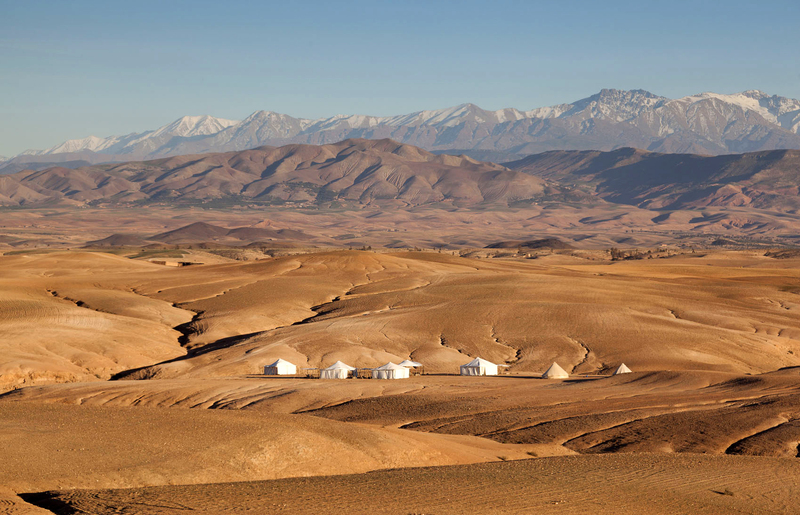 (From Scarabeo Camp web-site) The camp siting affords stunning 360° views of the Agafay’s barren grandeur and beyond to the snow-capped Atlas mountains. Please visit SCARABEO CAMP to start planning your destination wedding in the stone desert camp of Agafay and don’t forget to write us to document your wedding. Let’s have party! 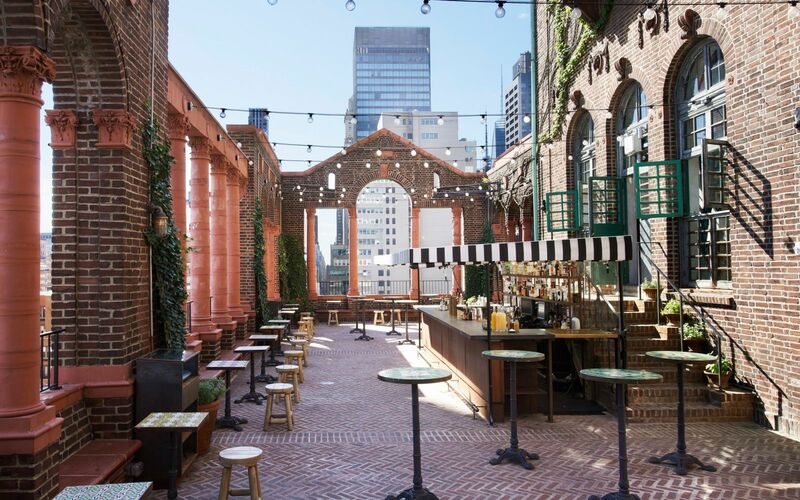 If you want to spend your wedding day surrounded by your closest family and friends, in an intimate way, why don’t you choose a rooftop ceremony in New York? We shoot a lot of New York based couple weddings, and I think New York can offer an ocean of alternative wedding venue. If you like industrial intimate weddings, or you wnat to elope with your love one in a stunning view location, New York is the answer. Unspoiled nature. Turquoise water. Mountain breeze. If you are a fan of natural landscape you must consider this enchanted corner for your destination wedding. 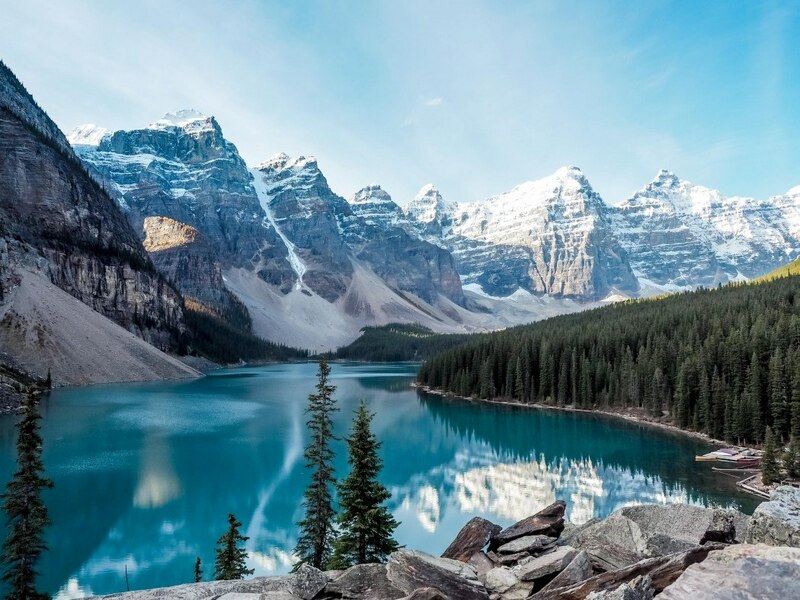 We really love hiking and getting lost into the woods, so if you are planning to elope in Moraine Lake Alberta, please consider these two guys to document your wedding. This place always blow my mind, hundred of hot air ballons at sunset are suspended on a rocky and pink land. This scenario is terrific, isn’t it? This is a dream for every wedding videographer, me included. 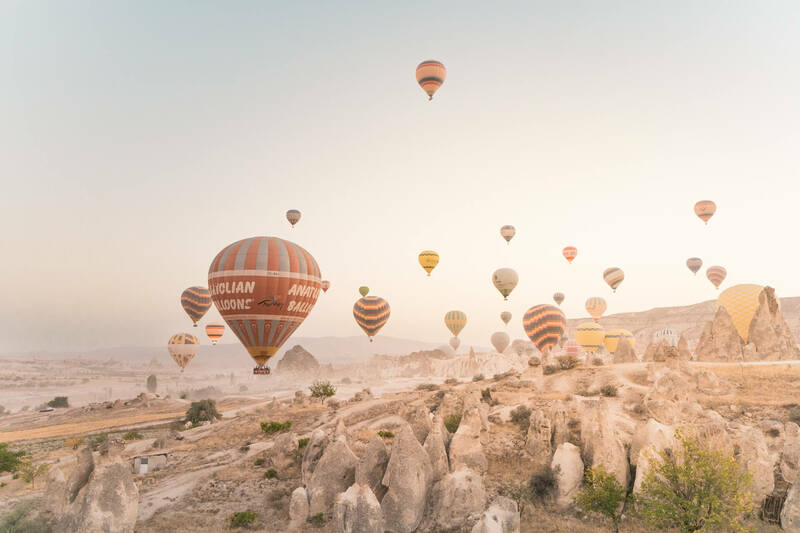 Please let’s plan together to visit Cappadocia for your destination wedding. Have you ever seen this hotel? Sultan Cave Suite is the most photographed on Instagram. I know that Iceland is one of the Top destination wedding place in the world and I will never get tired of saying that it is one of my favorite places on earth (as million of wedding photographers say). 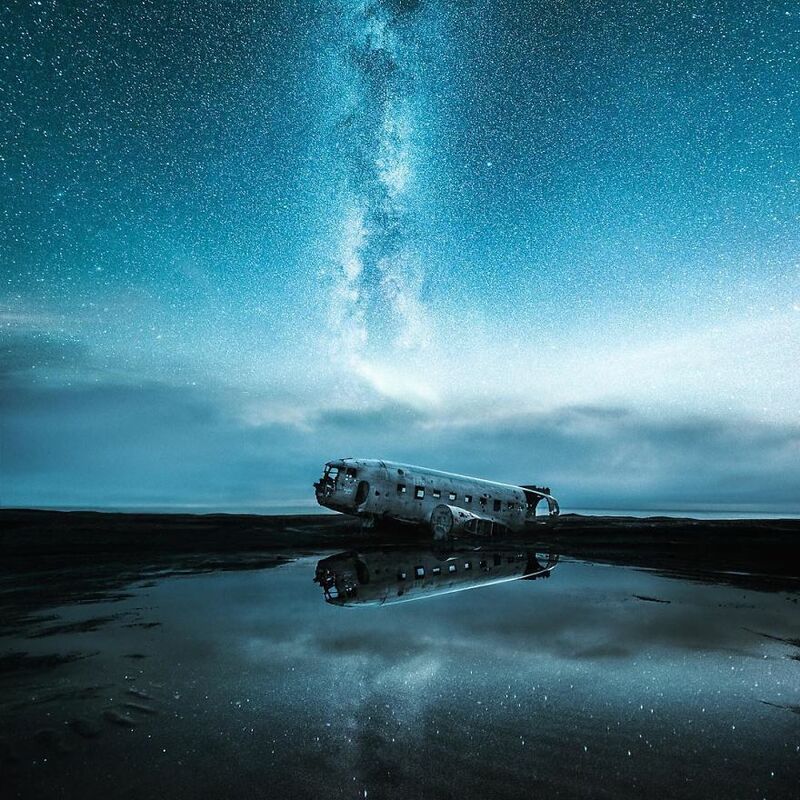 Can you imagine the feeling you get when you look at this DC-3 plane on Sólheimasandur beach, can you image to elope with your love one near the Blue Lagoon, or exange your vows under the northern Lights? Stop imagining it and start planning with us your elopement wedding in Iceland. 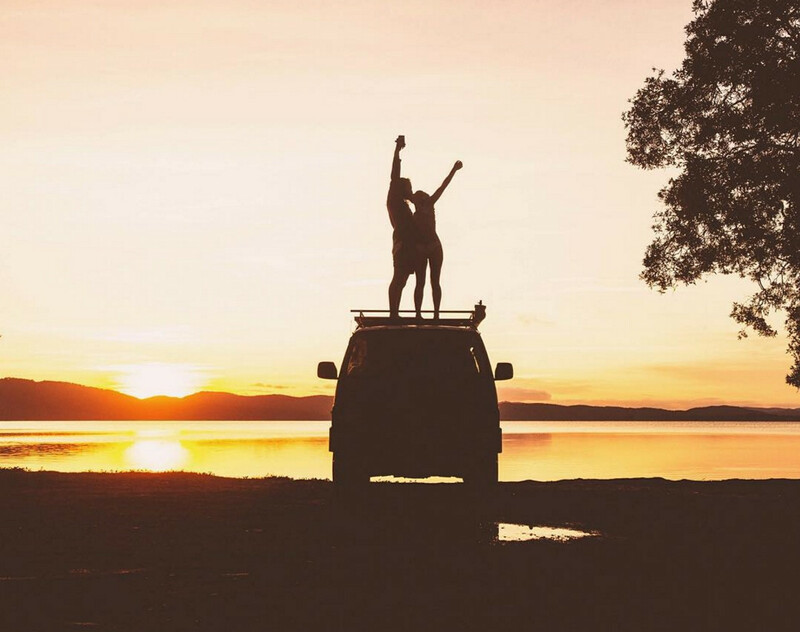 We will ride the streets of Iceland together with a van, we will sleep in a tent under the stars, we will visit together places of primitive beauty as the Black Sand Beach, Skógafoss waterfall, Maelifell Volcano, Kirkjufell Mountain, Gullfoss Waterfall, The Giant’s Causeway and so on. If you are a bride to be please do consider these passionate globetrotters for your elopement wedding in Iceland. 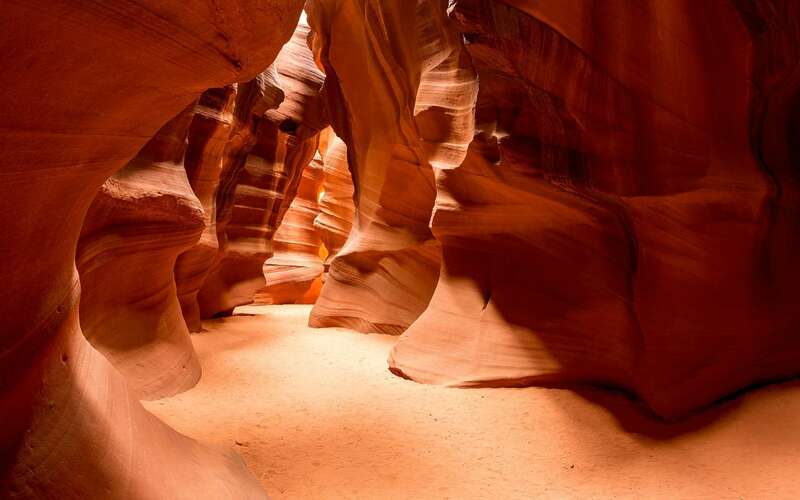 Antelope Canyon is the most visited slot canyon in the United States south western. It is located on the Navajo land near Page, Arizona. No many words needed to describe this place, it’s huge and mystical. You can plan to elope at Horseshoe Bend and than venture into the canyons for you video portrait session. We will be there with you to document your wild wedding. Les Eclaireurs Lighthouse is a slightly conically shaped lighthouse standing on the northeastern-most island of the five or more Les Eclaireurs islands. 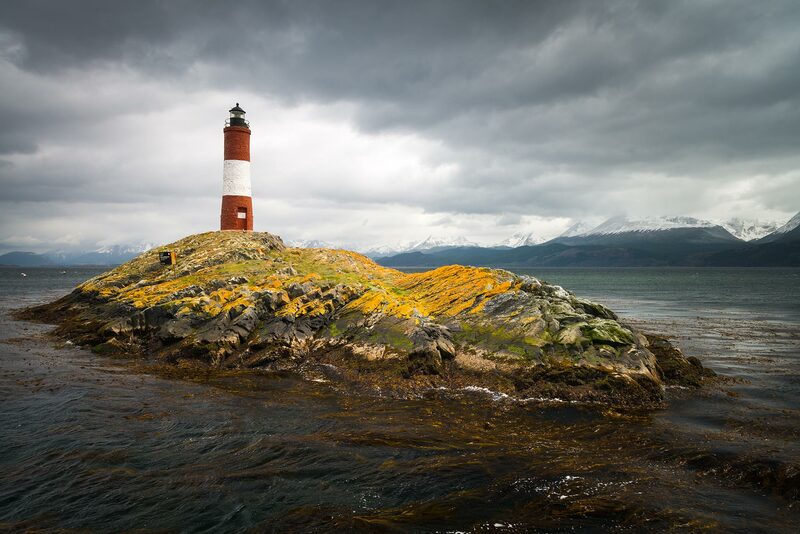 This is the most southerly located lighthouse in the world so if you want something really unique for your wedding, you can consider this place at the end of the world. We will be happy to be there with you to document your wedding. 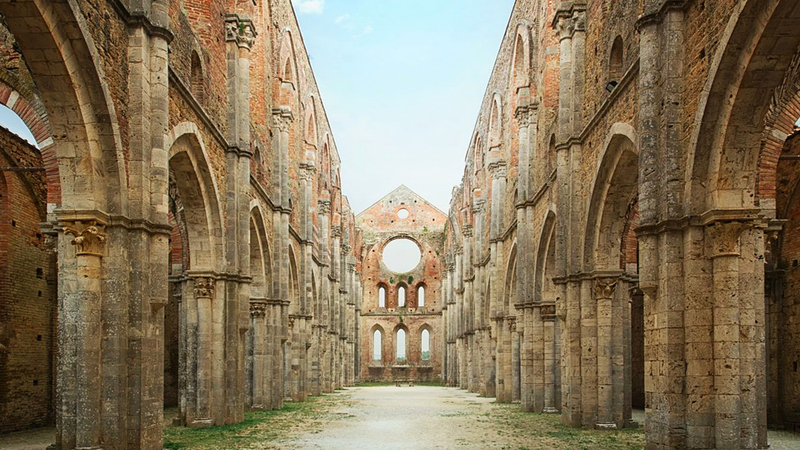 The Abbey of Saint Galgano was a Cistercian Monastery found in the valley of the river Merse between the towns of Chiusdino and Monticiano, in the province of Siena, region of Tuscany, Italy. Presently, the roofless walls of the Gothic style 13th-century Abbey church still stand. You know, Tuscany is a top destination for getting married in Italy, and this ancient Abbay is what you were looking for if you want to get married in a breathtaking place in Tuscany. At sunset the light flood this abbay and create incredible lighting effects, this is a perfect spot for your ceremony. Are you ready for this experience? 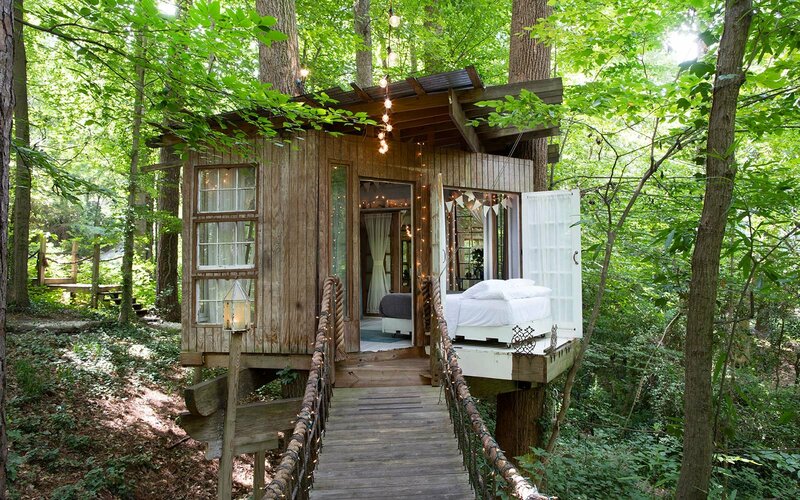 Airbnb is a source of inspiration and if you’re good at search, you’ll find incredible places to celebrate your wedding. This wonderful tree house can host you and your families and friends for the most unforgettable day of your life. We absolutely must tell the love story of the two lovers who will decide to get married in this tree house. So if a tree house is definitely your choice we are definitely your destination wedding videographers. There is no limit to your imagination, there is no limit to your desire to share a unique experience with the person you love. Every place on this world is perfect for you if you are together, the same for us, we are two kind souls that love each other, every place we visit is incredible because we are together. We observe the truly beauty through the eyes of the other and in each other’s eyes we can see the universe.